View the newly displayed ArtEffect Projects! 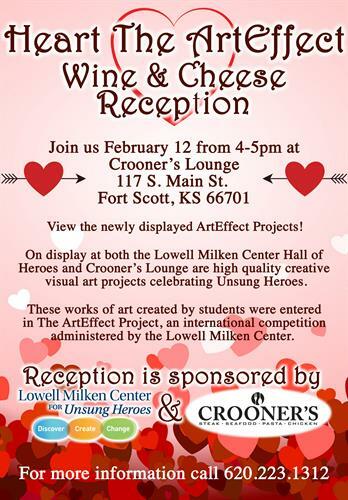 On display at both the Lowell Milken Center Hall of Heroes and Crooner's Lounge are high quality creative visual art projects celebrating Unsung Heroes. Sponsored by the Lowell Milken Center for Unsung Heroes and Crooner's.